Foreign investors are drawn abroad by the lure of profits, but they also face significant risks. 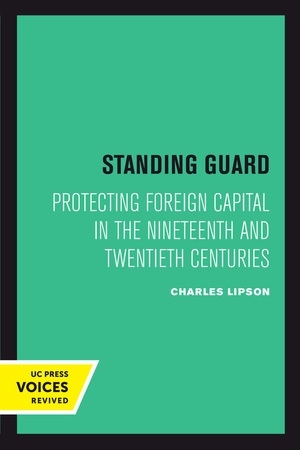 Standing Guard examines how investors coped with these risks and protected their capital abroad in the nineteenth and twentieth centuries. Toward the end of the twentieth century, less-developed countries, determined to control their own economic development, nationalized their most lucrative oil fields and mineral concessions and regulated all forms of foreign investment. While some firms were hard hit, many others adapted profitably to this new political environment. They rearranged their assets for self-protection and took full advantage of the tax breaks, low wages, and other incentives that attract capital to less-developed countries. At stake were not only corporate profits but also the character of national economic development and the global pattern of property rights. Charles Lispon traces these evolving issues from the days of gunboat diplomacy to modern corporate negotiations, showing how investors have tried to minimize their vulnerability to economic nationalism. 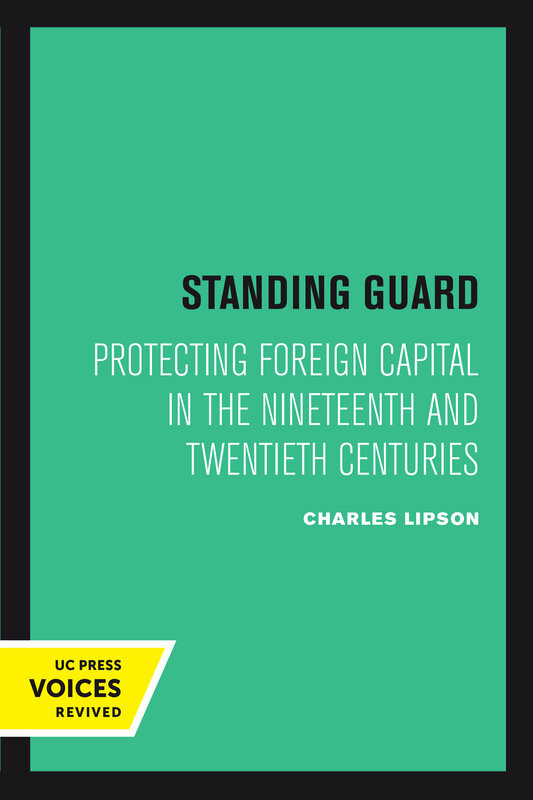 Standing Guard analyzes the shifting corporate strategies and shows how they have affected U.S. foreign policy, providing a thorough, clearly reasoned, and insightful analysis of the long-term changes in investment security. This title is part of UC Press's Voices Revived program, which commemorates University of California Press’s mission to seek out and cultivate the brightest minds and give them voice, reach, and impact. Drawing on a backlist dating to 1893, Voices Revived makes high-quality, peer-reviewed scholarship accessible once again using print-on-demand technology. This title was originally published in 1985. Charles Lipson is Professor Emeritus in the Department of Political Science at the University of Chicago.